Sometimes the cutest outfits are the ones that are the most comfortable and easy to put together. This TopShop dress is a new favorite of mine, especially when I need to throw on a chic ensemble rather quickly. 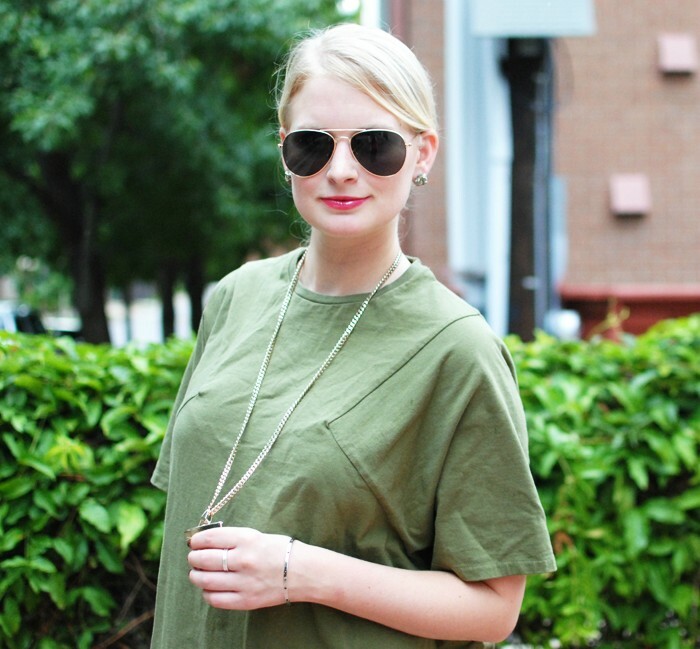 Oversized and airy, it’s perfect for transitioning into fall! Once the temps drop I plan to put it on over tights and booties. If you’re not a fan of the boxy shape, add a belt to cinch in the waist.